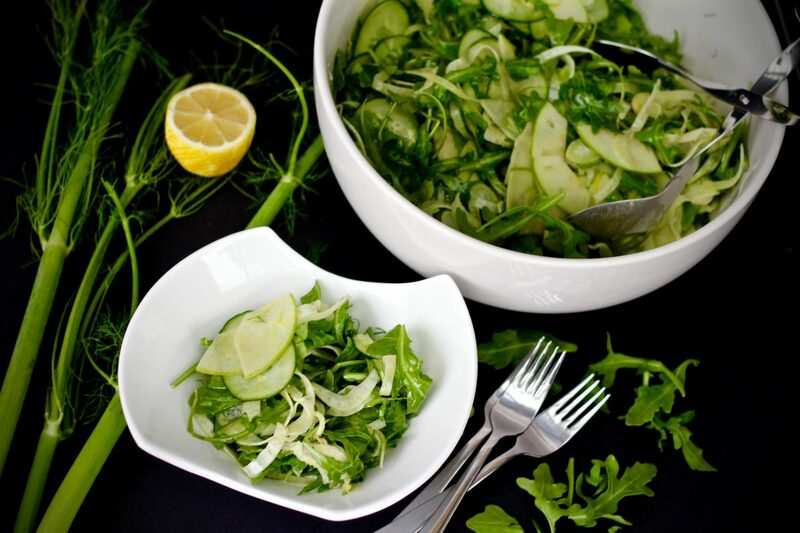 I’m not usually much of a “salad person” but this shaved fennel arugula salad has been an obsession of mine lately. It all started when my friend Mary brought a fennel salad to dinner one night. 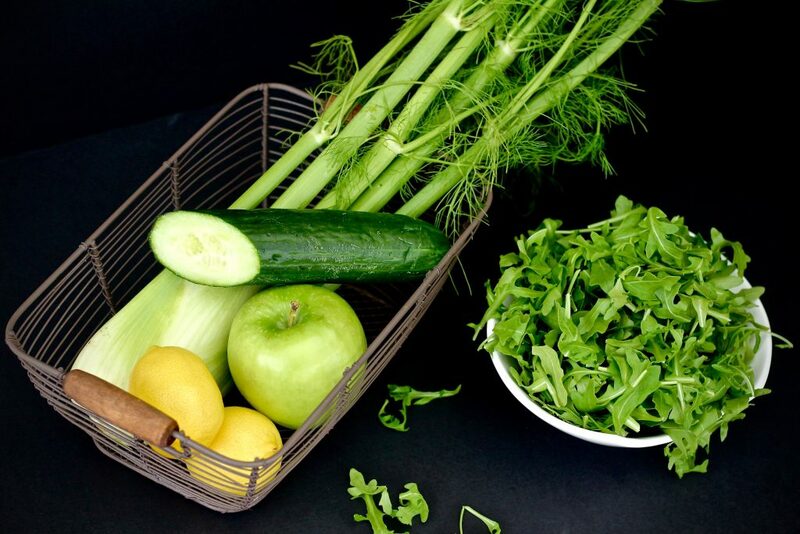 Fennel is usually too strong of a flavor for me, but I really enjoyed it this time because it was balanced with sweetness from crisp green apples. I tried recreating the salad with a few minor changes and made a maple lemon vinaigrette to add more sweetness. The flavors came together wonderfully! 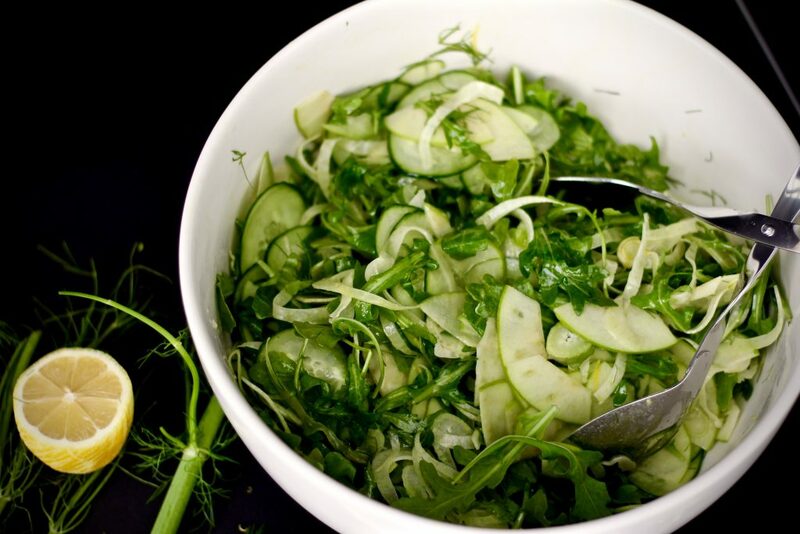 Sweetness from green apples and the maple vinaigrette, crunchy cucumbers, bright and fresh flavored fennel, and zesty arugula. I also tossed in some lemon zest and the fennel fronds to really highlight the flavors. This shaved fennel arugula salad is a great pairing with any poultry dish (like these crispy baked chicken thighs). I will be making it for our family Thanksgiving dinner this week! 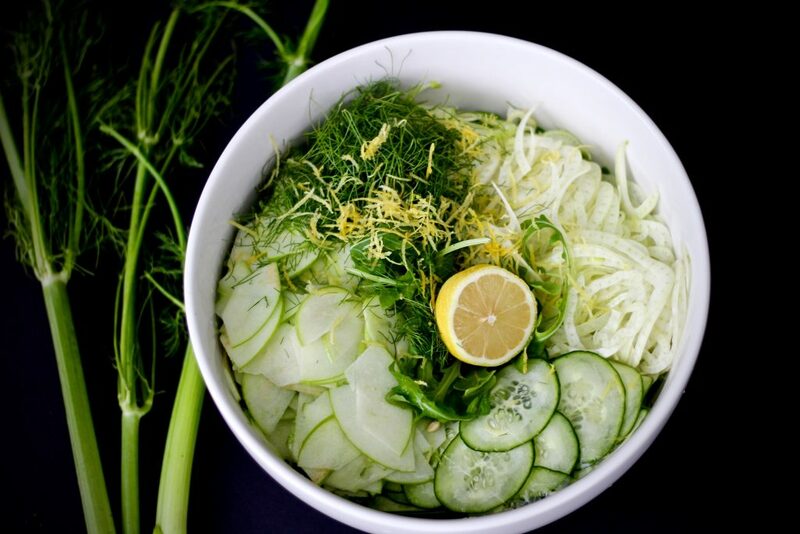 Start by rinsing and thinly slicing the fennel bulb, apple, and cucumber. 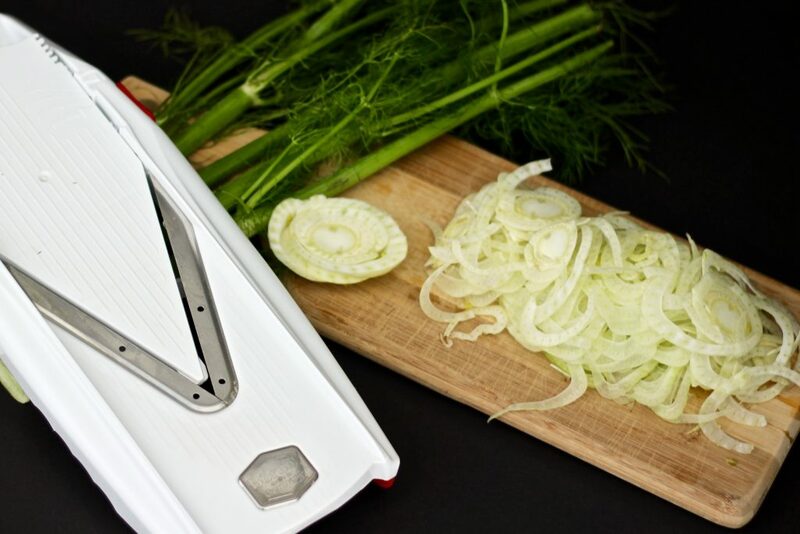 Use a mandoline slicer to save time and achieve consistently thin and even pieces. Strip the fennel fronds off the stalks and roughly chop. Remove the zest from two lemons. 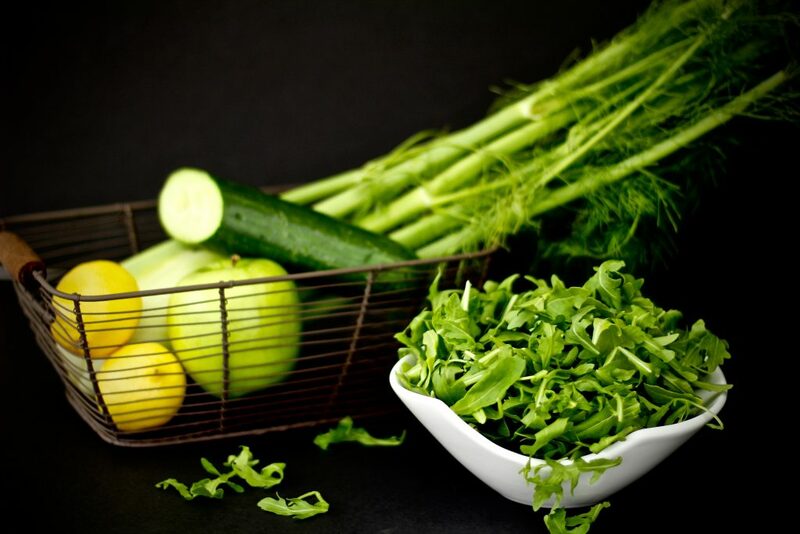 Add all ingredients to a large bowl and toss with maple lemon vinaigrette. Place all ingredients in a small jar that you have a lid for. Shake vigorously to combine. 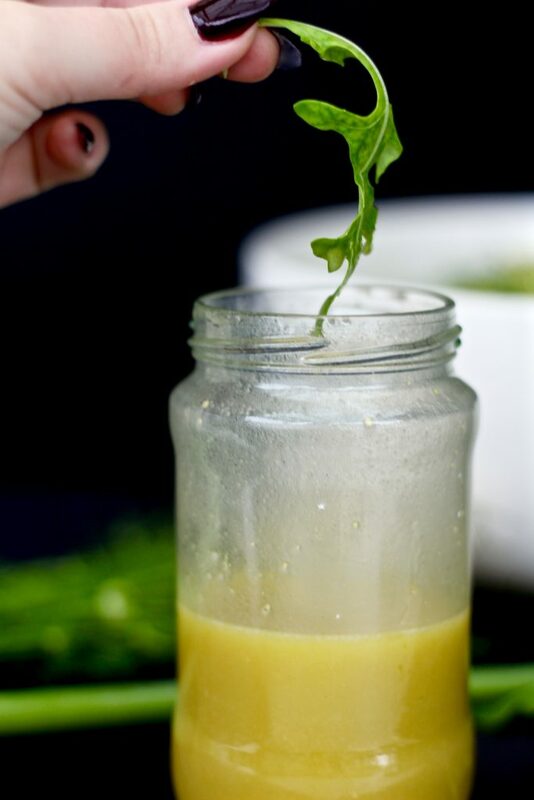 Dip an arugula leaf in the vinaigrette to see if you want to adjust any of the ingredients to your preference. Use entire amount to dress the salad. 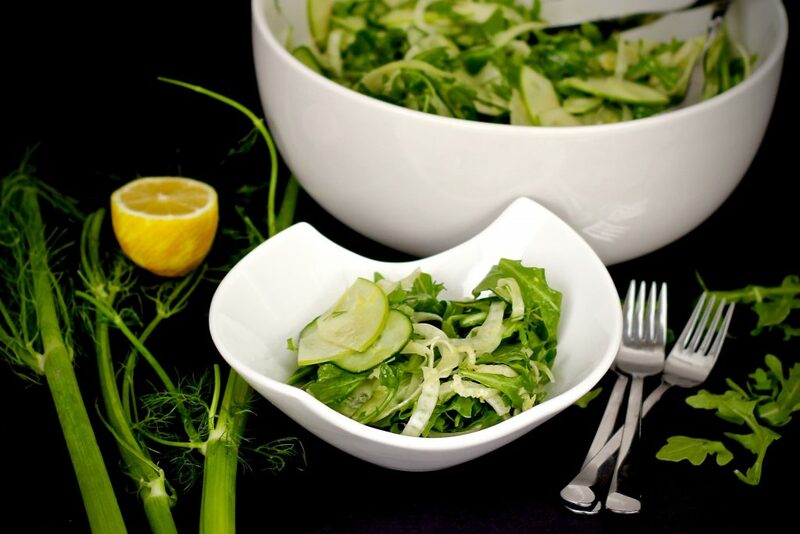 Enjoy this refreshing, crisp shaved fennel arugula salad with your Thanksgiving dinner this year or any meal that would benefit from the zesty flavor! PS- One of the things that I love about this salad is that leftovers actually hold up pretty well overnight in the fridge. 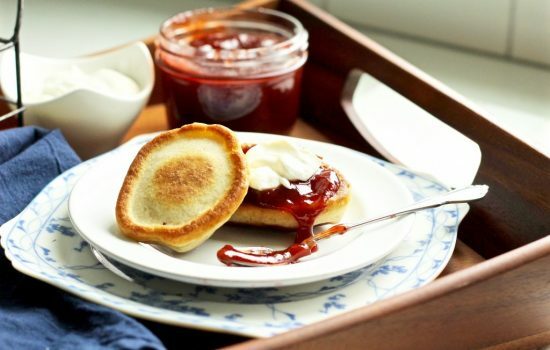 Because you’re using a lot of crisp ingredients it won’t get all soggy and limp and can still be enjoyed the next day. 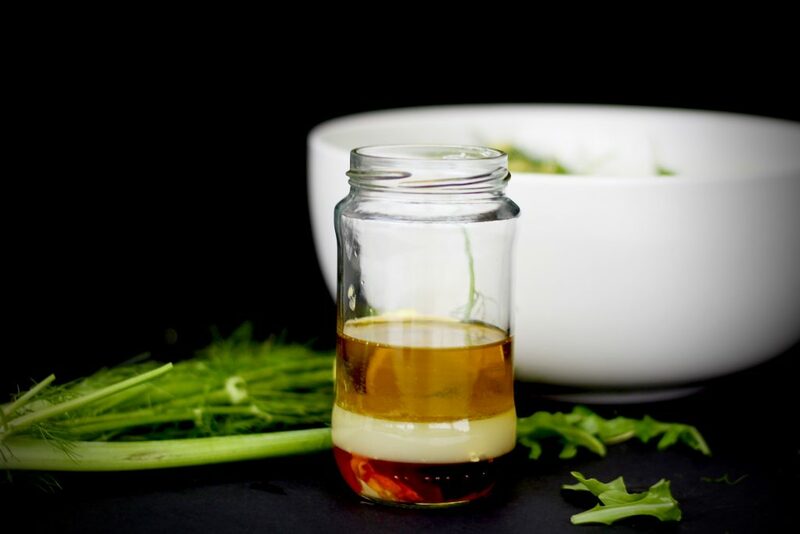 Dip an arugula leaf in the vinaigrette to see if you want to adjust any of the ingredients to your preference.